The Pentagon, seen here in an undated image provided by the U.S. Air Force. Suspicious packages sent to defense officials and originally flagged as containing ricin, an extremely potent poison found in castor beans and that has no known antidote, have been confirmed to only contain the beans themselves rather than the toxin in a purer form. At least three packages were involved, two of which were sent to the Pentagon and addressed to Defense Secretary Jim Mattis and U.S. Navy chief Admiral John Richardson. The third was mailed to the White House and named Donald Trump as the intended recipient. Obviously, strange mail addressed to any of these officials is screened, and security personnel easily intercepted all three packages. 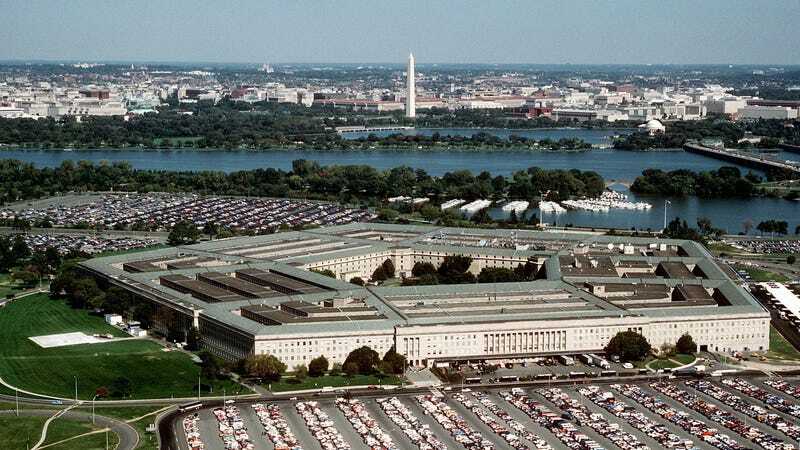 “According to our preliminary analysis, the substance was castor seeds, from which ricin is derived,” Pentagon spokesperson Dana White told reporters on Wednesday... White said the FBI is still investigating the incident. The Herald Journal reports a former U.S. Navy sailor suspected of mailing out the envelopes was arrested in Logan, Utah, Wednesday. It’s unclear whether the letter sent to the White House contained ricin or just the unprocessed beans, but according to the New York Times, the Secret Service said no one suffered any injuries from the package. Mr. Allen served in the Navy from 1998 to 2002 as a low-ranking damage-control fireman apprentice on supply and support ships, Navy officials told Military Times. Nothing in his record indicates he served in combat. A Facebook account matching Mr. Allen’s name and location contained posts about Christianity and the golden ratio, but also a post suggesting he had watched online videos about extracting cyanide from apple seeds. So it seems that attack could have only succeeded if one of the intended recipients were to somehow get the letter directly, open it, and choose to chow down on the beans inside. Bulgarian writer and political dissident Georgi Markov was infamously assassinated in London in 1978 using a poison later determined to have possibly been ricin administered via a small, biologically inert pellet shot into his leg with an “umbrella gun.” While the 2001 attacks involving anthrax spores mailed to the offices of media organizations and Democratic senators, resulting in five deaths and 17 other infections, is likely the most infamous example of bioterrorism conducted via mail, the Hill noted there has been a number of ricin attack attempts or plots in recent years. There have been a number of hoax incidents where harmless white powder was sent through the mail as well.